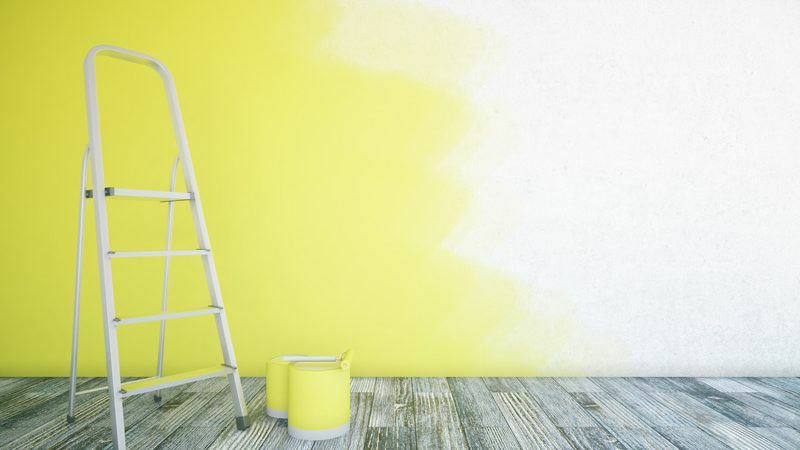 When most people think about interior painting, whether it be for residential or commercial applications, they consider the color first and foremost. After all, the color you choose will set the tone and mood of a given space and you’ll likely be looking at it for years to come. 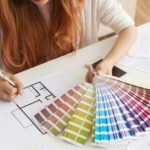 However, once you’re finished sorting through stacks and stacks of color swatches and have found just the right hue to match your décor, you have another important element left to consider – the paint’s finish or sheen. 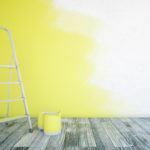 Read on as we explain just what paint sheen is, how they vary, and best yet – how to select the right sheen for your interior painting project. What Exactly Is Paint Sheen? The sheen of a paint largely refers to the level of shine a paint will have once it has completely dried. There is a saying regarding paint sheens – The higher the sheen, the higher the shine. Typically speaking, the higher the shine, the more durable your end result will be. What Are the Different Paint Sheen Types? A flat or matte finish paint has no shine while a high gloss finish is all shine and the others lie somewhere in between, each carrying its own practical and decorative applications. Considered the most durable and easiest to clean, high gloss paint is tough, very reflective, and adds a shining intensity to any surface. High gloss paint is a great option for surfaces in high traffic areas of an interior. Think doors and cabinets – or any surface that might be exposed to regular contact or impact. The thing to remember about high gloss paint is that it requires a high level of surface prep (cleaning, sanding, priming) as it will easily show every bump, scratch, or brush mark. 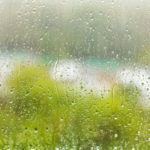 Great for rooms that are likely to be confronted by moisture, splashes, and stains. Semi-gloss paint is great for busy or active spaces like bathrooms, kitchens, and children’s rooms. This is because semi-gloss paints stand up well to impacts and regular cleaning. Like high-gloss, semi-gloss paint does highlight surface imperfections and calls for thorough surface preparation before painting. Paints with a satin finish provide a nice balance of durability without too much shine. Looking great in virtually any room, satin finishes have regularly been described as “velvety” in appearance. Strong enough for kitchens and bathrooms but at the same time not too glossy for the décor of a dining or living room. For a versatile and multipurpose sheen, satin gloss paint is an ideal choice for living rooms, hallways, or even an entire level of your home. Very much like the name implies, eggshell finishes are fairly flat with a little sheen, much like an actual eggshell. 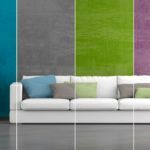 Eggshell finishes cover wall blemishes well and are a good choice for rooms that do not take a lot of abuse such as living rooms or bedrooms. Similar to satin finishes, eggshell carries moderate durability without the more intense shine of high gloss paints. Eggshell paints stand up to washing and scrubbing better than a flat or matte paint with a slightly lower sheen than satin or higher gloss finish. Providing a beautiful finish with very little or no shine, flat or matte finishes are great for any room where foot traffic is low and fingerprints or scuffs are less likely to occur. This is because flat and matte finishes do not stand up well to cleaning and are more easily be damaged. Though flatter sheens do not stand up well to scrubbing or cleaning, the tradeoff value is their exceptional ability to cover and hide surface imperfections. If your walls have something to hide, a flat or matte paint provides an elegant finish for master bedrooms and formal spaces. Picking the right sheen requires aesthetic and practical consideration. Aesthetically to create visual interest in your décor and practically because the right finish for the space can extend the life of the paint. Glossy paints will always have higher durability than their flat counterparts but won’t necessarily look the best for any given space. 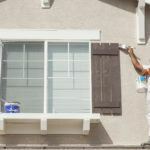 If you’re not certain which paint finish will work best for your home or business, check in with the experts at Timmins Painting, your local Sonoma County painting professionals. 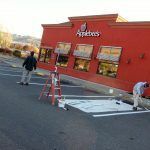 Our friendly staff will be happy to guide you to the best paint for your commercial or residential painting project. Call or contact us online today to learn how we can help!